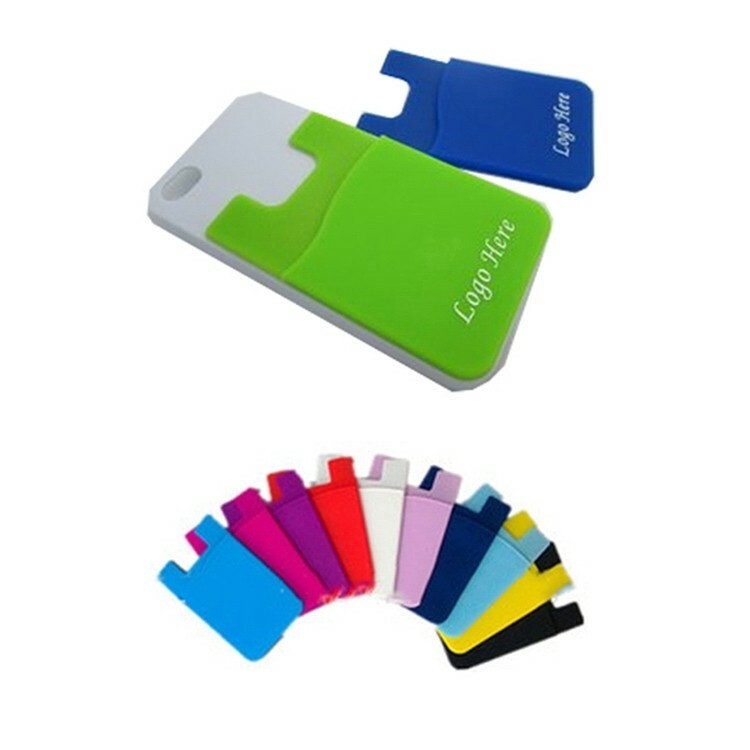 This pocket designed silicone holder adheres to the back of your cell phone and helps keeping your cards safely. Great for daily use. Any custom logo and color are available. 3 7/16 " X 2 1/4 "